As 2014 came to a close, oil prices were -- and continue to be -- at their lowest levels in over five years. The most precipitous drop occurred over the final quarter of 2014, bringing the year’s decline to roughly 45%. Companies in every sector are examining the commodity markets and trying to determine whether or not this drop is part of a longer-term trend, or if the New Year will bring a spike in prices. What is for certain is that the current prices are having huge effects, both positive and negative, on just about every segment of the economy. Before looking at the sectors most affected by these prices, it is useful to understand the underlying causes of these price drops and what the short-term (first quarter 2015) outlook for oil prices is. In short, oil prices are suffering from a huge supply glut. 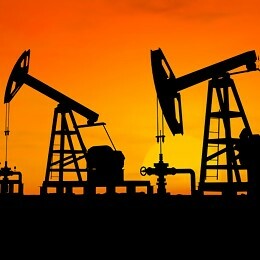 Geopolitical battles are being waged amongst the oil producing countries of the world, and none want to slow production. In Russia, the tumbling price of the ruble led to increased production to attempt to strengthen the national economy. In response, on November 27, 2014 the Organization of Petroleum Exporting Countries (“OPEC”) refused to agree to curb its own production. OPEC’s continued production (which accounts for 40% of the world’s supply), to compete with Russia, coupled with Russia’s own increased production and the all-time high production levels of the United States (who no longer imports as much oil, further increasing world supply) have flooded the world’s markets with oil. Greater production and supply does not necessarily spell disaster. The real problem is that this increased production has occurred as demand has stagnated. Greater efficiencies in technology and the continued popularity of alternative energy sources have kept demand from moving in step with the current production. As such, it is hard to fathom prices returning to their June 2014 highs of $115 a barrel any time soon. In looking at the sectors most affected by these prices, we can see these depressed prices as an ongoing trend in the New Year. The sectors of general consumer/retail, transportation, oil services, renewable fuels and financial institutions will have to adjust their outlooks, both for good and bad as 2015 brings a new reality to the global economy. While the price of oil has weakened, the consumer and retail sector has strengthened. Granted, the holiday season is always the strongest portion of the retail year. The lowering of gas prices has resulted, however, in huge savings to the average American consumer. The strength of the retail sector is entirely dependent on the willingness of the consumer to spend. With retail gas dropping to roughly $2.30 a gallon, the average American consumer now has received the equivalent of a holiday bonus! The early returns from the Christmas shopping season are stronger than they’ve been in years. Furthermore, the usual glut of early-year, post-Christmas sales should allow a greater number of consumers with extra disposable income to get out and spend that money. How this works out for troubled retailers that communicated their tenuous grasp on viability going into this holiday season will be seen in early 2015. Where the industry will not see savings is on shipping. In theory, these prices make it cheaper for a shipper to get product to the retailers’ shops. The problem is that it is extremely unlikely that shippers will consider reducing pricing with the current uncertainty over the general future for oil prices. Furthermore, with oil prices having been so high for so long, it is much more likely that the world’s shippers will keep pricing constant in order to realize more profit for other capital expenditures that have long been wanting or recapture excess cost that bled out of the operation during historically high price periods. The entire transportation sector has seen the greatest benefit of the lower prices of fuel. Airlines especially, whose fuel expenditures account for more than a quarter of their operating expenses, have realized huge gains from the lower price of oil. Delta Airlines announced that for every penny per gallon saved in fuel costs, it saves forty million dollars annually. Transportation sector stocks too have seen a significant bullish trend, as well. Most participants in the sector are up approximately 33% year-to-date. One of the more interesting effects of the drop in prices has been a reticence of the companies in the sector to pass their savings on to their customers. Similarly to the shippers on the retail side, most companies are choosing to reinvest these huge newly found profits to recover from years of losses. They need to make money while they can and upgrade their fleets to prepare for the next rise in prices. While the transportation sector has been reaping the benefits of lower oil prices, the oil services sector has been feeling a crunch from prolonged oil prices at these current levels. At the time of writing, the oil services ETF (exchange traded fund, a collection of stocks in a single fund that seeks to replicate the behavior of the overall industry) (ticker symbol “OIH”) was trading down more than 20% for the year. Companies in this sector are the primary suppliers to the drillers and explorers of oil. These companies provide most of the technologies required for drilling and refining oil. As such, the price of oil directly affects their profits. In theory, the lower price of oil would curb production in the drillers, creating lower demand for their products and services.